This episode corresponds to Lesson 5 of our online course. 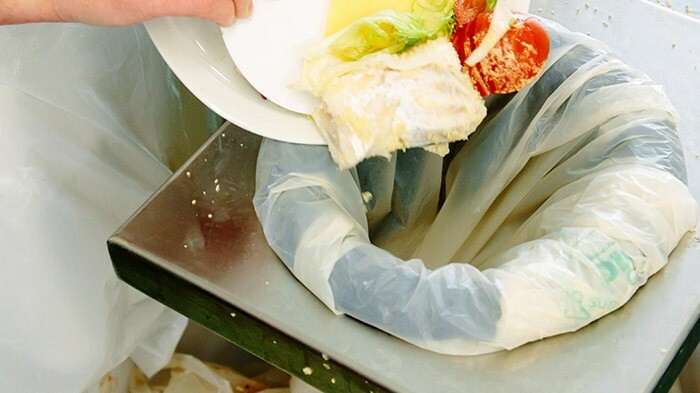 On today’s episode, we’re taking a look at the new compost label and quality assurance system designed by the French national network for the collection and recycling of biowaste, Compost Plus. 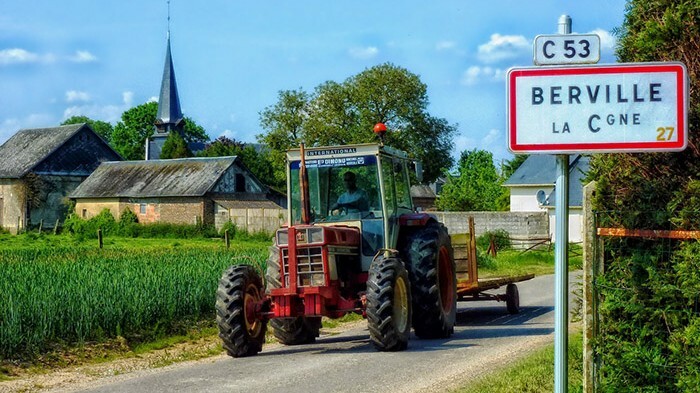 We’re joined by Thomas Colin of Compost Plus who gives us a detailed look at the new system and what it will mean for organics recycling in France. We examine how strict the standards are and how they will be enforced, the reasons for creating them and the issues with the pre-existing standards, how the new system will benefit the French compost industry and the agricultural sector, and the challenges they faced in creating these standards. We also get an update from Thomas on source separation in France, the new guidance manual developed by Compost Plus and what it will do, and about the new Energy Transition Law – which is currently being reviewed in the Senate and, if passed, will greatly impact the landscape for sustainable organics collection in France. Save The Planet 2015 Waste Management & Recycling Exhibition. March 11-13, 2015. Sofia, Bulgaria. Organiser: Via Expo. Responding to the growing demand of eco-technologies and an interest in wider implementation of advanced know-how In South-East Europe, ‘Save the Planet’ is a timely event. It will help business and municipalities to increase their investment activities in resource efficiency, landfill rehabilitation, construction of new modern facilities and infrastructure. Q: Can you tell me about Compost Plus and what you are up to in France at the moment? Thomas Colin: Compost Plus is a network of local authorities all involved in composting and separate collection of biowaste in France. There were six members at the beginning in 2009, and now we are sixteen members, which represent around 1.3 million inhabitants. It is important to notice that Compost Plus is a fully independent association and there is no money from private companies. 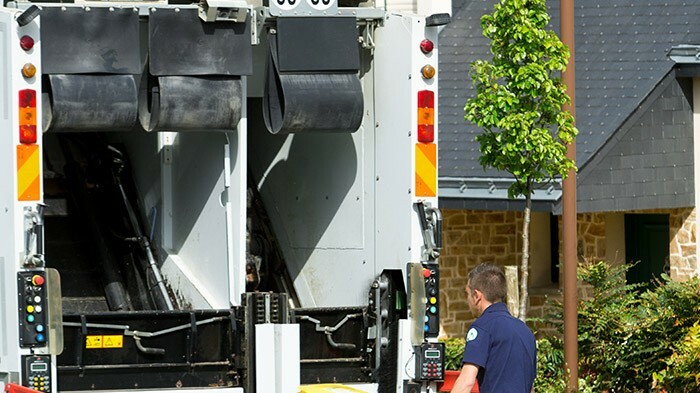 All our resources are from members’ fees and the goal of the association is to promote the collection and develop separate collection of biowaste in France. We use different methods, like communication. We communicate on separate collection of biowaste in many conferences and meetings all over France, and we organise every two years specific working days on that field, inviting councillors and technical agents. We also do a little bit of lobbying; we’re involved in different regulation working groups, and we’re also members of the European Compost Network – which is a lobbying group of European experts with who we share the same vision about the way to recycle biowaste. And finally we have a few projects – two of them are finished this year. First is a quality assurance system for composting plants, and compost from biodegradable waste. The second one is a guidebook on separate collection of biowaste, giving the reasons why it should be developed and aiming to spread the best practices. There is one project still in progress; it’s an observatory of local policy, aiming to evaluate the economic and environmental impacts of separate collection of biowaste. Q: Just to clarify – you work solely with municipalities that source separate their organics? TC: Yes that’s correct, they are all involved in separated collection of biowaste – all involved in source separation. Q: Can you give me an overview of the situation in France regarding source separation, and composting standards, before your system came in? TC: In France the separate collection of biowaste is really unpopular at the moment. There is only maybe three to five percent of the population involved in this type of collection. So it was essential for us to write this guidebook in order to demonstrate the feasibility of this industry. And in terms of the compost context in France: the French quality standards were not sufficient enough for the agriculture industry. They were asking for stronger external control, more traceability, and clearer specification. 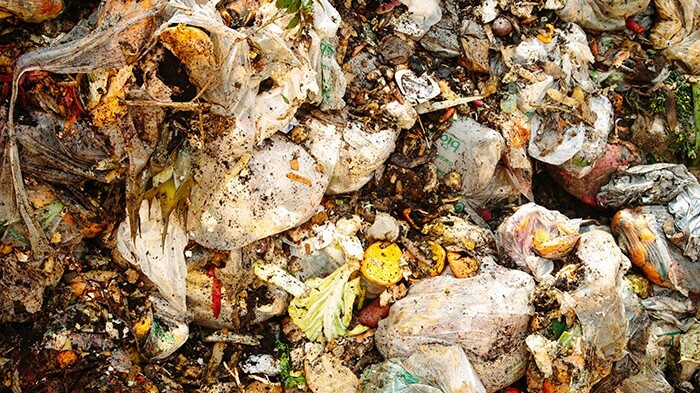 For instance, there was no clear difference on packaging requirements biowaste compost and municipal solid waste compost, so this was a fear for operators that the user would be mistaken and would lose confidence in the industry, and finally would prefer not to use compost anymore on their farms. So that’s why Compost Plus found it necessary to build this new quality assurance system. It’s called ASQA – the translation in English would be Soil Improvers Selected and Quality Certified. Q: When did the work on the quality assurance system start? TC: The work started two years ago. It was a big collaborative work. All the stakeholders were involved in the project: Compost Plus with its members, but also the ADEME (the National Agency of Energy and Environment) from which we received some funding as well. The Agricultural Chamber of France, which represents all the local agricultural chambers, was also involved. The FNAD, which is the federation representing private companies. A few other associations, like the European Compost Network, and the Composting Farmers of France, and the certification bodies were also involved. I would like to say that the support of the Agricultural Chamber of France was really important – they brought us a technical as well as political support. Actually two press releases have been co-written and published together, one of them during the last Paris International Agriculture Show. This collaboration was really strategic for the wide acceptance of the project by users, because four years ago the Ministry of Ecology led a similar project of the National Composting Charter, including altogether the urban compost, biowaste, green waste, municipal solid waste compost, but the project eventually collapsed because they didn’t get the confidence of the agricultural industry. Q: Did the collapse of the previous project make it more difficult for you then to set up this new system and label? TC: Yes, well, what was difficult was gathering all the stakeholders around the table – the private companies, the agricultural industry, the local authorities, and technical experts as well. TC: That was a lot of players, yes. That was one of the challenges – to get everybody around the table, and finally, to make sure the final document was fully approved. Q: And that process took two years. TC: It was two years of work, yes. Q: The quality assurance system has just launched last year in September, so it’s still very new. And we touched on this already, but can you tell me the reasons for making this new label? TC: There were a few reasons for making this new label. For users, the priority was to give them more traceability, more control, more warranties, and better quality. For operators, the label allows them to secure their outlet, and makes the market more lasting for the future. As I said, it was also a clear way to mark the difference between biowaste compost and other urban compost like municipal solid waste compost. Let me say one more thing. In relation to the French context, there was a lack of quality assurance systems in France, actually. Most of the plants use ISO Standards, which focus particularly on management, but nothing on the product quality. So the project was to create this integrated system based on both management and product standards. 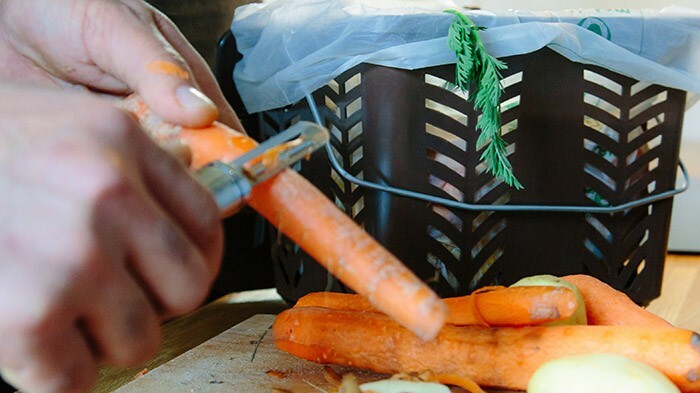 Compost Label Criteria: Just How Strict Is It? 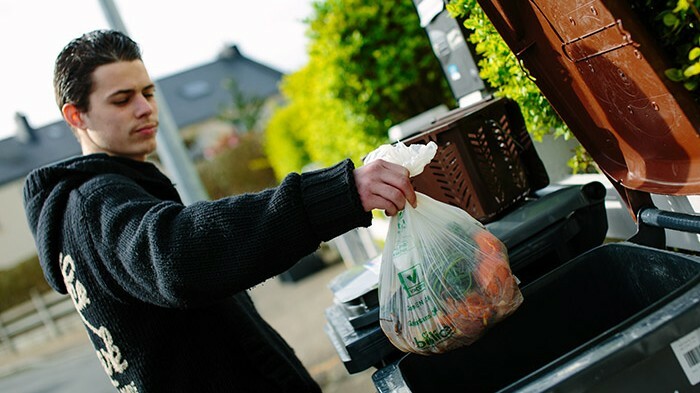 Q: How strict is this new system, and the compost label – what criteria did you put in place and what does it cover? TC: First, the label is open to any plant, public or private, even if it was a public initiative at the beginning, that composts biodegradable waste separately collected. Meaning that municipal solid waste or sewage sludge is not allowed and can’t be part of any product from this label. Compared to what was done before, the label is a lot stricter: there are thirty-six requirements for quality management, environmental management, and product quality. A big part of the label is inspired by ISO Standards, which means that the quality policy and the procedures are written, the internal communication done, and information is given to operators on the plant. And there are also internal controls done every year to make sure the plant is still in line with the label requirements. About the product, there is also a threshold for pollutants, in line with the European Eco label for soil improvers, which are stricter than the French national standards, especially on heavy metals content and impurities. Q: In terms of the operational aspects – what steps will be taken to ensure operational quality in the compost plants, and so on? TC: Everything has to be recorded: all the composting operations during the process and the composting parameters such as temperature and moisture. Everything has to be recorded and independent certification bodies can ensure that the requirements are respected. At least one external control is done per year, and each product is sampled for external laboratory analysis. There is also internal analysis required, and there is a particular attention given to pollutants that are likely to pass the allowed thresholds. For instance, when a threshold once, the implicated parameters are analysed on all the following batches for one full year. Aside from the agronomic criteria, the organic matter and nitrogen content are analysed on every batch. Q: Tell me a little bit more about the traceability. TC: One goal of the label was to bring more traceability, as I said. So, the work on the platform starts by creating input batches. Each batch is followed during the full process from the first stage to the final product, and at every stage of the process, the operators have to know the exact composition of every batch. That means that each kilo of input or output is recorded. Q: Were there any stumbling blocks or issues you had in relation to designing the quality control aspects of the system? TC: Well, the main challenge was to create a label complying with farmer’s expectations and operator’s limit in the field. So we had to deal as well with the existing rules and practices that sometimes can be hard to change, even just a little bit. So we tried not to revolutionise everything, and to retain most of the best practices already implemented on the field. One challenge, as well, was to contain the implementation costs of the label. That is why operators have to do part of the control – I spoke about internal control already. So they are doing that internal control and sampling the product. And as the label has some similar requirements to the ISO Standards, we made it fully compatible with them. Thanks to this the implementation costs are reasonable, I would say. Even more for operators already ISO certified, because when the certification body is at the site, it can control parts of the two systems at the same time. TC: Exactly, so that is why I call this label an integrated label. When you get a contract with a certification body, this label will cost a lot cheaper for operators already ISO certified. Q: And how has the reaction been so far? TC: Well for the moment, five plants are doing the work to be certified. Maybe the first certification could open between April or May, but for the moment we haven’t done any communication – we are waiting for that first certification before making any conclusions. Q: Can you tell me more about who will benefit from this new label, and how? TC: Those who benefit will be every stakeholder of the industry. Users will benefit from this label because it gives them more traceability, more control and more quality. Operators will benefit because it secures their outlets. Even, I would say, by extension the consumer who is buying food products grown on farms using certified compost, and finally as well it benefits the national authorities by increasing the quality of the national market. Q: We mentioned before the trouble you had to bring all the stakeholders together around the table, but you’ve had a few other issues too, like deciding whether or not to include mechanical biological treatment plants (MBT) plants. Would you care to talk a little more about that? TC: Well that was one of the questions, whether this label should include the municipal solid waste compost from MBT plants and other sludge sewage compost as well or not. In the end we decided to make this label apart, because Compost Plus members are not familiar with those plants, so it was too complicated for us to imagine creating a label integrating all urban compost. We didn’t want to make a label that confused the user, so it was better for us to separate this initiative. Q: Was there any pushback on this decision, or did you have any trouble defending it? TC: No, actually they understood this position and today they are working on their own certification label as well on their side. So we’re happy because our initiative gave them the same idea and hopefully with their label they will try to increase the quality of their compost. Q: Of course our stance is that source-separation is the best way to go for organics recycling, but are MBT plants popular, or gaining popularity, at the moment in France? TC: I will say that for the moment the local authorities are waiting for a signal from the national authorities. There are no clear national strategies on how to recycle biowaste. 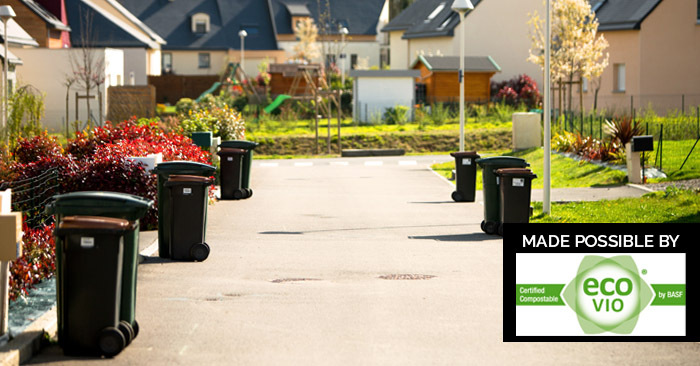 Some local authorities chose to do separate collection of biowaste, others chose to do MBT – but there are few of them, and for the moment most of the local authorities haven’t done anything yet. Q: This is a good transition to talk about what’s happening in France more generally now with organics recycling and source separation. 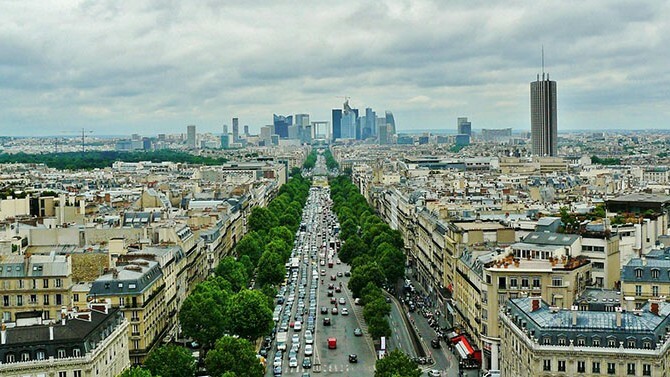 It’s an exciting time at the moment in France – can you tell us more about why? TC: Well there is a big regulation project called the Energetic Transition Law. In this initial project – supported by the new Minister of Ecology – there is one goal, which is to generalise source separation of biowaste by 2025. So this will be the strong signal I was talking about for local authorities to favour separate collection of biowaste all over the country. It will also be a really important measure when you think about the international context of climate change and also in contemplation of the next 21COP held in Paris in November (a summit on climate held in Paris at the end of the year), and this measure will be strong contribution from France to reduce our environmental waste impacts. Because we have to know that thirty percent of human methane gas emissions are from landfilling. So about this Energetic Transition Law – in a few days the Senate will examine the law, and their conclusion should be delivered in the middle of February, so in two weeks, maybe the national situation will totally change. Q: You’re busy right now talking to the senators and so on about separate collection to spread the word, and this brings me to the source separation guide book (or manual) that you’ve produced (published 5th February). How long has it been in production? TC: It was also two years work, actually. It’s a book that gathers many, many successful experiences from all around France about source separation of biowaste. There are more than twenty local authorities that have contributed to this guide. And we will officially publish on the 5th of February, so then we will widely spread it to local authorities. Q: Can you tell me why there is so little source separation in France at the moment, is it just a question of economics or is there much opposition to it? TC: I wouldn’t say that there is many people against source separation of biowaste in France, but there are still the same people and local authorities defending – and that’s normal – their investment and what they have done. So we can’t say that France is MBT, because some of them are, but some of them are in favour of source separation of biowaste. Q: Right so there are just a lot of different voices at the moment. TC: Yeah, it’s a lot of different voices, but most of the people are just waiting for the conclusion. Q: But municipalities might gain the confidence to start source separation schemes now thanks to this guidance manual? TC: Yeah that’s true. That is one of the goals of this manual to show the local authorities that source separation of biowaste works everywhere – in urban areas as in rural areas. And yeah, we want to demonstrate that it is working and it’s feasible technically and economically. Because most of the time the argument is that separate collection of biowaste costs more than, for instance, MBT. But this guidebook shows that the twenty local authorities can contribute to this book haven’t got more costs than the national average. Q: It will very much depend on what happens with the Energetic Transition Law, but what is the focus for Compost Plus then in the next few years? TC: Well first of all our next goals will be to make sure the ASQA label is implemented everywhere by local authorities in as many plants as we can. And in relation to the Energetic Transition Law, if the law is in favour of source separation of biowaste, we might have to focus on how we can educate new local authorities in the way of developing source collection of biowaste. Q: It will be a very busy time, then! And it’s a very busy time for France, too – I’m sure you’re excited for what the future holds. TC: To make the change, exactly.